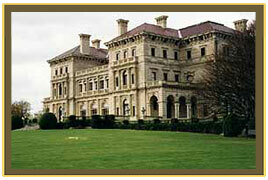 The Breakers is by far the most famous mansion in Newport. If you only see one mansion while visiting, most will choose the Breakers. Today, this giant “palace” measures 250 feet by 150 feet and contains 70 rooms, over four floors. Millions of visitors have visited the Breakers since it became open to the public in the 1970’s. Cornelius Vanderbilt II bought the property and original Breakers in 1885 from Pierre Lorillard to be used as a summer home for his family. The original building burned down in 1892, which resulted in a m uch larger version being built, modeled after the Renaissance palaces in Genoa and Turin. Work began in 1893 and took just over two years to complete. Hundreds of workers helped lay the stones and whole rooms were built in Europe and then shipped to Newport. 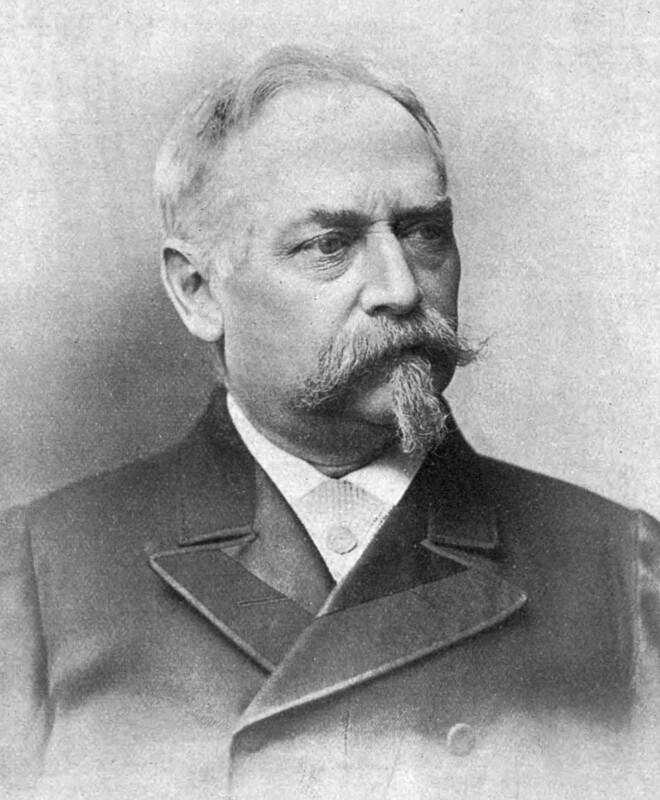 Richard Morris Hunt was the architect for the Breakers, who worked on many other Newport mansions, including Ochre Point and Marble House. Hunt died before the Breakers was complete, but wished to be remembered for the stick-style cottages he built early in his career. However his fame rests with the Breakers and other stone palaces. This was Vanderbilt’s second home and as it was being built, the anticipation grew. There were many rumors surrounding the art and amenities of the mansion, and on August 14th, 1895, those rumors were put to rest at the combined house-warming/coming-out party of Gertrude Vanderbilt. Over 300 guests were in attendance and were greeted by the great hall, which rises nearly 50 feet and is lined with Caen stone. The East wall, made almost entirely of glass allows for a view to the lawn, ocean and the reef that gave the Breakers its name. Guests marveled at the two story dining room and “grotto-like” billiards room. The two-level kitchen, the size of a normal size house had sealed doors that no odors could escape from. 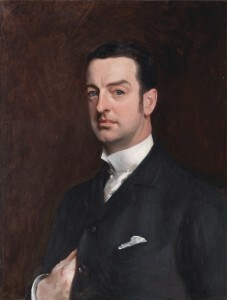 Cornelius Vander bilt II was the grandson of Cornelius Vanderbilt, who started the family fortune. He was worth more than $70 million, but worked as a bank clerk, making $50 a month and lived on that salary. He worked long hours and became the chairman of the family’s railroad empire. He married Alice Claypoole Gwynne and was a devoted husband. The Vanderbilts were not known for their entertaining because of the amount of time that Vanderbilt dedicated to his family business and philanthropy. He donated his time and more than a million dollars a year to various charities and much of it was anonymous. Unfortunately, a year after the Breakers opened, Vanderbilt suffered a stroke. He died three years later at the age of 56. Countess Laszlo Szechenyi (Gladys Vanderbilt) leased the Breakers to the Preservation Society of Newport County for $1.00 a year in order to raise funds for the restoration of the Hunter House. It was finally acquired in 1972, and millions have been visiting ever since.